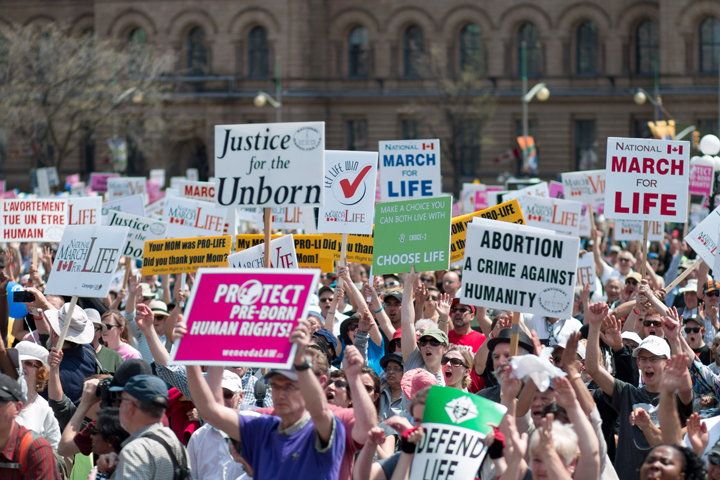 The National March for Life in Ottawa, the largest annual protest on Parliament Hill, has been set for May 9, 2019. This year, we will be commemorating the 50th anniversary of Pierre Elliott Trudeau’s omnibus bill, which decriminalized abortion in Canada. Pro-lifers will rally in front of our Parliament building and march through downtown Ottawa, demanding that our political representatives fight for the right to life of every human being. The National March for Life is organized by Campaign Life Coalition. The event is a forum for pro-life Canadians to demand justice for the 100,000 children who are killed in their mothers’ wombs each year across Canada. Abortion is fully funded by taxpayers for any reason or no reason at all, right up to the moment of birth. The National March for Life began in 1998 with a mere 700 pro-lifers in attendance. At first, there was a bit of support for the March from political, cultural and spiritual leaders, but as the event grew, they started coming. Every year the event has grown dramatically. It brings together Canadians of all ages, including thousands of young people. Each year, we arrange for several speakers including pro-life parliamentarians, religious leaders and activists, to deliver statements that inspire and encourage Canadians gathered on the steps of Parliament Hill to take action. Afterwards, thousands of pro-life Canadians begin to march through the streets of Ottawa. They are led by the Ottawa police and volunteer marshals, who keep the route safe and clear. When the March ends, people re-assemble on the lawn of Parliament Hill and listen to moving post-abortion testimonies by the Silent No More Awareness Campaign, which are followed by a prayer service.